John Bridge, Chief Executive of Cambridge Chambers of Commerce delivered the introductory keynote speech Cambridge, A remarkable example for university-industry cooperation. He spoke about how Industry and Academia stand to benefit from deeper collaboration and that the foundations we have built in Cambridge will play a large part to the ongoing success of UK plc. He said that events like this will help to “reverse the trade gap we currently have, if we don’t introduce businesses to China then we are going to have that wrong gap”. Thinley Topden from DIT spoke about the UK Government’s three objectives for doing business with China, driving UK Exports, consistent trade policy engagement, deepening UK|China investment. He also underlined the government’s aim for UK to the destination in Europe for Chinese collaboration. “We see China as a huge opportunity and a very important trade partner” said Thinley Topden of DIT, backed by a slide quoting Foreign Secretary Jeremy Hunt “The UK and China are both major powers with a global perspective. As the UK leaves the EU and becomes ever-more outward-looking, we are committed to deepening this vital partnership for the 21st century”. Innovation in technology were not just on the agenda in a bubble, Ian Sandison, CEO of Cambridge Business Improvement District (BID) spoke about how they drive a broader supply chain and create jobs in the services sectors, improving the whole local economy. Cambridge BID are working with Cambridge China Forum as a strategic partner, with a long-term commitment to improving UK|China relations across the city’s businesses. Martin Rigby from ET Capital, with experience of investing globally said “The world is now like football, a game of two halves – the eastern and western hemispheres”, he went on to say that by getting investment and involvement from China earlier, Chinese growth becomes built into the strategy for the UK’s scaling companies. Simon Howarth, CEO of Dynasty Biotech, noted that there now is time for people to forge new relationships. He said that while investment is important, “The opportunity for Cambridge is actually revenue”. Jeanette Walker, Director of Cambridge Science Park, who was integral to the £200m joint venture between TusPark and Trinity College announced earlier this year, attended the Forum and said, “In the last few years I have witnessed a massive change in Cambridge’s attitude towards China. Previous thinking was that China is too difficult, too far away and too risky. Today Cambridge companies see China as a viable country to raise investment, licence their technology and manufacture products. It’s great to have the Cambridge China Centre to help raise awareness of opportunities in China”. 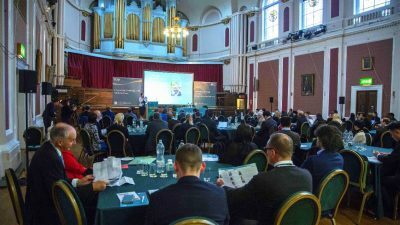 As well as the many speakers across the event, it was also supported by eight exhibitors including Hyria Business Institute, Technology companies IoTAS and CW, Cambridge BID and the Cheung Kong Graduate School of Business. 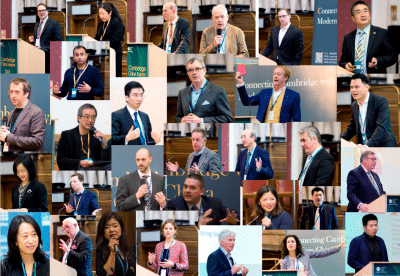 Cambridge China Centre are currently planning the 2019 event and welcome interest from potential partners and sponsors.